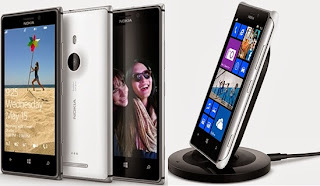 Nokia lumia 925 is a lighter model phone as compared to earlier models lumia 920.You can read lumia 925 screen in bright sunlight, Lumia 925 comes with metal design and Pure-view camera innovation, Records distortion free sounds. This new Lumia 925 comes with an aluminium frame that looks and feels amazing, it’s not just for decoration as the metal helps deliver even better improved antenna performance. Award-winning Pure-view technology, Carl Zeiss optics and six physical lenses. The Nokia Lumia 925 lets you capture the great moments, day or night. And the beautifully crafted design will turn heads wherever you go. 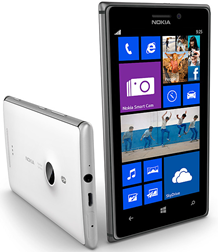 The Nokia Lumia 925 comes with great smartphone features, MS Office, enjoy free tunes on Nokia Music and discover the city around you with HERE Maps.